Our team was very excited to meet Mike Brown and hear about his new app called MySongList. 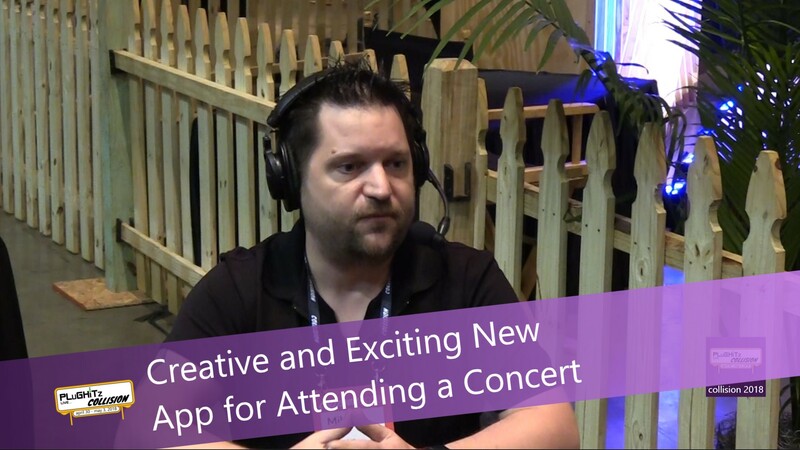 This is a creative new app for allowing people to access entertainment, particularly live music. It is basically a virtual jukebox for live music. The user can literally be sitting in his living room and can listen to an artist who is performing somewhere maybe across the country and hear it live without being there. The user can then enter a request for certain songs and not interrupt the artist. One of the cooler things is the ability to purchase their merchandise, such as CDs, shirts or posters. You are also able to put in a tip for their granting your requests. Payment can be made through the app. The app makes listening to your favorite genre of music even from around the world live as it is occurring. It can also notify the user when a certain artist is about to go live so that they can log in and listen to the concert. They can virtually "attend" a concert without actually being there and still request songs. You can even listen in your bunny slippers! As an artist, you any be very skilled in certain genres of music. With this app, you can tailor the list to your audience for each venue, depending on the area you are playing in. People in that area can then request a song or songs from that list as it goes into the queue. Another feature is the proprietary software that allows you to see your lyrics or chords as you are playing. Mike's partner is a programmer. He came home from a gig unhappy. It seems the paper he'd passed out to tables for song requests were all getting soaked with spilled beer. It costs the artist money to provide that paper and the people still were walking up to him and asking for requests instead of writing it down. Hence the idea for MySongList is born. Other musicians were all on board and loved the idea of networking on the app. Another fun area to use this is for karaoke. When you use it for this, you can see in the queue where you are in the lineup to sing. If your party is anxious to leave and you have one last song to sing, you can pay a little bit, say $1.00-$5.00 for a "priority bump". What a cool idea for karaoke! There is no cost to the user for this app. However, the artists will pay$20.00 a month for the year. There is the ability to add a tip from the listener. For more information got to MySongList.com.